PLDT Enterprise celebrated many milestones that truly made 2018 among the most memorable and unforgettable years to date. The annual Pasasalamat Night is our humble way of thanking our customers and partners for the year that was—and the year that is about to come. To cap off another triumphant year, PLDT Enterprise once again held its annual year-end celebration, the PLDT Pasasalamat Night at the Mall of Asia Arena—it’s biggest and most festive leg in its series of thanksgiving parties. Carrying the theme, “Showstoppers,” the event aimed to deliver a vibrant spectacle like never before, with bigger names and acts headlining the night’s festivities. Upon arrival at the Arena, guests were greeted with sumptuous refreshments and LED wrist bands to prep for the epic concert. Opening the night’s festivities were none other than SVP & Head of PLDT and Smart Enterprise Business Groups Jovy Hernandez, FVP & Head of SME Nation Mitch Locsin, and FVP & Head of PLDT ALPHA Vic Tria, who took to the stage to welcome guests and share their message of thanks. “With every Pasasalamat night, we always aim to throw an even bigger and more exciting celebration, and this year is no different,” Hernandez said. “Tonight is our way of thanking you, our dear partners and customers, for your continuous support, patronage and most importantly, your friendship. We wouldn’t be here without any of you,” he added. Hernandez, Locsin and Tria then proceeded to raffle off exciting prizes, such as units of the brand-new Galaxy Note 9. As the arena lights went dim, the audience’s LED wristbands illuminated the venue, blinking an assortment of colors—with a few lit units remaining as the lucky raffle winners. Following the high-energy segment was an equally thrilling performance from dynamic sibling duo, Gab and Kiana Valenciano, who were accompanied by the A Team. Gab upped the ante as he showed off his dance moves and acrobatic prowess, while Kiana captivated the crowd with her sensational vocals and dynamic stage presence. 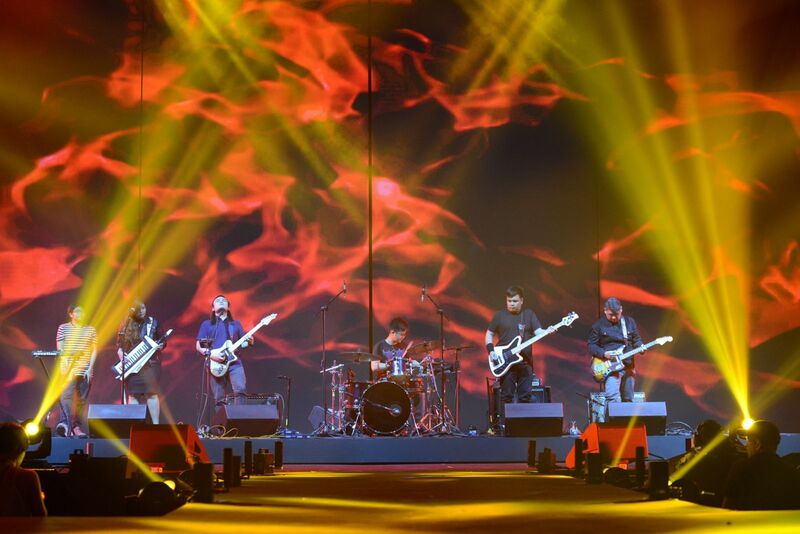 Indie rockers, Autotelic, then followed, delivering a mini concert of their top hits. The country’s Dance Princess Maja Salvador hit the stage and blew the crowd away with her electrifying dance numbers. You're My Foreignay top contender Dasuri Choi joined Salvador, inviting audience members to a dance off—with each participant bringing home a pair of season passes to the Mall of Asia Arena. The audience swooned as heartthrob Enrique Gil joined Salvador for a few heated numbers on the stage. After which, was a segment exclusive to Gil, who wooed the crowd with his irresistible charm and slick moves. Just as energy levels were at all-time high, Gforce then busted out their best moves, rousing audience members to get on their feet. Ultimately, Pop Princess Sarah Geronimo stole the show with a repertoire of her top hits and newest tracks. 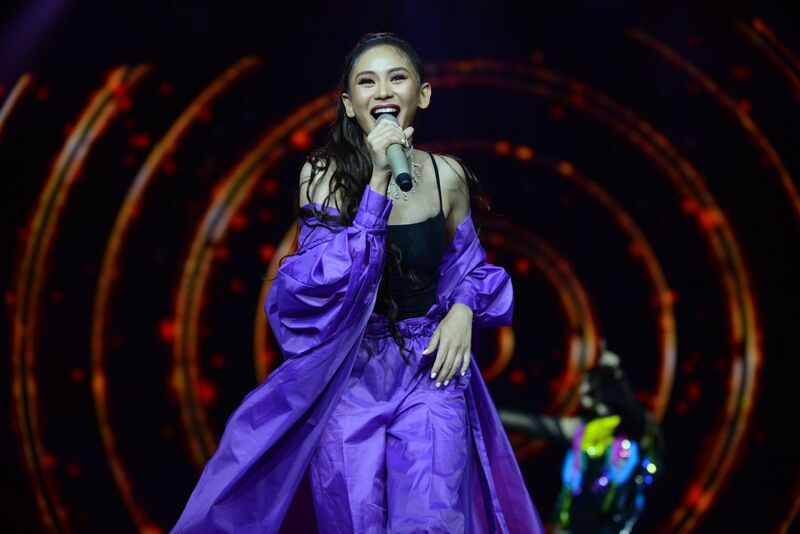 As the singer connected with the crowd, she shared how PLDT had a special place in her heart, as her father formerly served as a lineman for the company. After Geronimo ended her performance, there was no slowing down for the program as PLDT executives—led by PLDT SVP & Group Controller and Smart Chief Financial Officer Chaye Cabal-Revilla—took to the stage to award the winners of the night’s grand raffle draw. Units of Samsung Curved TVs and Note 9s, and iPhone XS Max were brought home by over a dozen lucky audience members. The night ultimately ended on a high-note as one lucky audience member took home the coveted grand raffle prize, a 2018 Toyota Altis. “We at PLDT Group believing in ending every year with an expression of our sincere gratitude. We are particularly delighted that our thanksgiving celebration is most especially apt and meaningful this year, our 90th anniversary, We have successfully weathered the years through the continuing confidence and trust of all our valued clients and partners—and this milestone is definitely worth celebrating,” PLDT and Smart Chief Revenue Officer & ePLDT President and CEO Eric Alberto said of the spirited celebration. “As this tradition continues to grow, it is our fervent wish that the bonds and friendships we share with our clients and partners become even richer and more meaningful. After all, at the end of the day, all our endeavors are aimed at serving them to the best of our abilities,” said PLDT Chairman and CEO Manny V. Pangilinan. With over 3,600 attendees, more exciting prizes and the industry’s biggest personalities headlining the event, this year’s Pasasalamat Night has indeed been PLDT’s grandest thanksgiving celebration yet—underscoring their unwavering commitment to their clients and partners.